KB Glass Ltd are Suppliers and installers of the SAPA Crown range of aluminium windows, doors, sliding patio doors and Bi-Folding doors. Our sales, surveying and installation staff have a wealth of knowledge and experience which results in the highest quality finished product. Designed and manufactured to high quality industry standards, SAPA Crown windows and doors won’t warp, twist or swell and will never rot or rust. The maintenance required to keep Crown windows and doors performing and looking as good as the day they were installed is genuinely minimal. Aluminium is something of a wonder material which is why it is used in so many different ways. Once it has come to the end of its useful life it can be recycled again and again – in fact it can be used infinitely which makes it one of the greenest building material available. 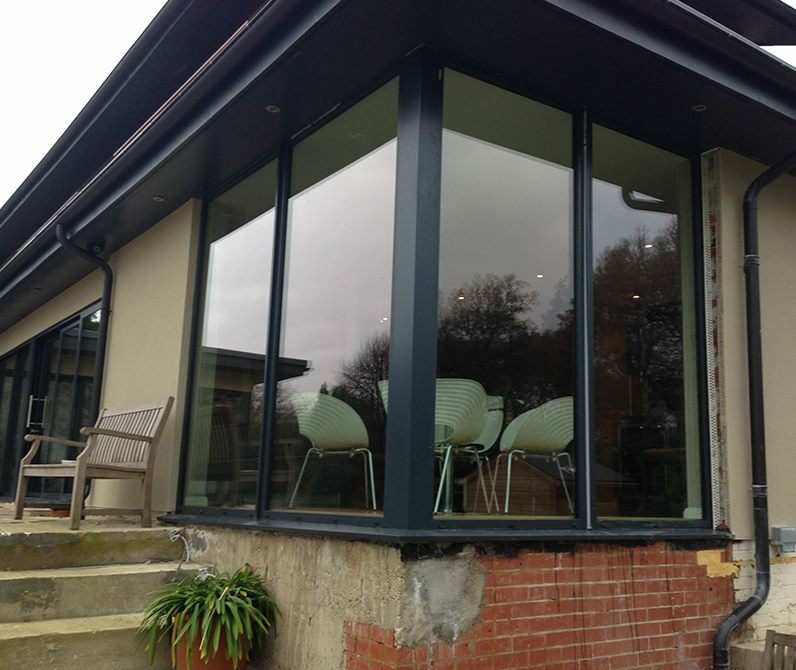 KB Glass Ltd can provide you with aluminium windows that replicate your existing windows or configured with a new arrangement of fixed and opening windows to create an individual look that is just perfect for any home. KB Glass Ltd can also help homeowners with Listed properties, or houses that fall inside Conservation Areas. As many local planning authorities are happy to approve the use of Crown windows and doors due to the super –slim frame design. KB Glass Ltd's Crown windows are also Energy efficient – They achieve the highest Window Energy Ratings – A, B or C dependant on the chosen frame and glass combination. So, if it's attractive, high security, quality and energy efficient aluminium windows you're looking for give KB Glass Ltd a call and we can provide you with all that and more. The Monarch aluminium name is synonymous with the very best in door design and the latest Crown entrance doors are no exception. Our doors have strength and security behind distinctive style – these doors have been expertly designed to create a modern, classic and elegant door, made from durable and strong materials, offering long-lasting and highly secure performance. 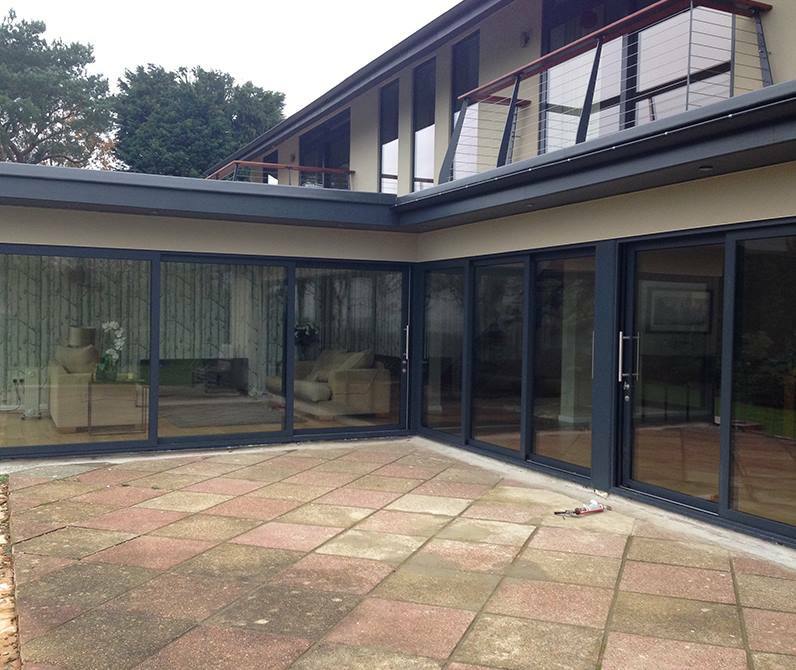 Our SAPA Crown aluminium sliding patio doors and Bi-Folds have been engineered for strength and stability. These wide opening doors with their strong yet slim frame design allow the best views and maximum light to flood in. 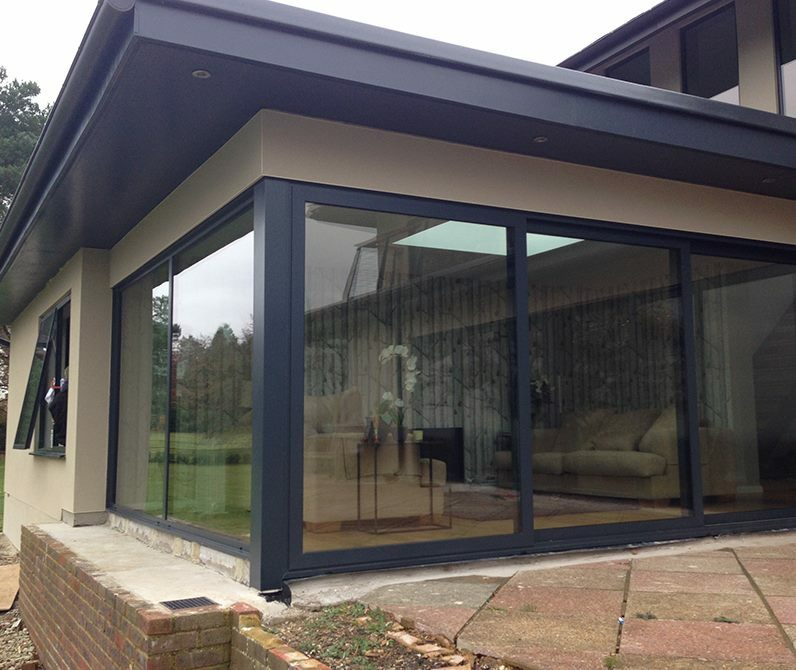 The sliding doors can be made in 2, 3 or 4 panes and the Bi-Folds can be produced in any number of configurations, all have a multi-point locking system to ensure they deliver all round security. SAPA is synonymous with high quality aluminium windows and doors in the home improvement industry. BY choosing SAPA products, installed by KB Glass Ltd, you can be confident that you have a product expertly designed, professionally manufactured.